Travis Gore maintains a reputation in the classical and indie rock/pop world. Along with performing on records by Bryan John Appleby and Hey Marseilles, Travis is producer and composer of his own alt/prog project, Feeds On Majesty. He remains an active studio musician and can be heard on major film and game soundtracks such as Men Who Stare at Goats, Valkyrie, Halo, and Dragon Age. In the classical world, Travis’ artistic collaborations include work with the St. Petersburg Quartet, flute soloist Paula Robison, and the Grammy Award–winning Parker Quartet. He has participated in chamber music tours of Italy and Switzerland. Travis has been a guest artist at the Methow Valley Chamber Music Festival, performing with highly sought-after, exuberant artists. Travis has held teaching positions at San Diego State University and served as a guest artist-in-residence at the Hyogo Performing Arts Center Orchestra in Japan. He maintains a private studio of students in Seattle and gives recitals and master classes around the country. Travis has held a position with the Seattle Symphony since 2007, following a tenured position in the San Diego Symphony, where he was later appointed associate principal. He has performed with some of America’s leading orchestras, including the Los Angeles Philharmonic, the Minnesota Orchestra, his home town’s Atlanta Symphony, and the New World Symphony. 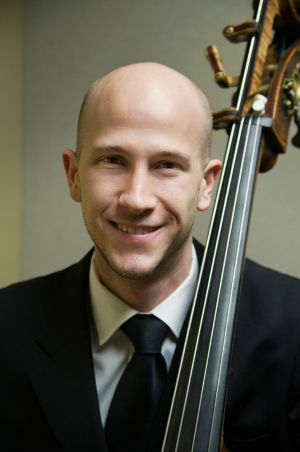 Travis holds a bachelor’s degree in double bass performance from the Cincinnati Conservatory of Music and a master’s degree from the Shepherd School of Music at Rice University. He enjoys playing on a French bass from the 1850s and, recently, a modern Italian bass.